Thanks for visiting. I am no longer actively working as an engineer/producer. If you are in the NYC area and are looking for a studio, please visit Threshold Studios, my home in NYC for close to 10 years. FiftyThree has just released Pencil, a stylus for iPad designed for use with their award winning app Paper. This is their official trailer for the new product. Soundtrack recorded and mixed by me at Threshold Studios NYC. Great fun to work on with some extremely talented people! Many of you know we host the Road Recovery bi-weekly program's here Threshold's NYC's 41st recording studio facility. Here's to a great night of friends and family sharing in the holiday spirit! Another in Road Recovery's celebratory events honoring its 15 years helping thousands of at-risk teens and young adults battling addiction and other crises by harnessing the influence of entertainment industry professionals who have dealt with similar hard knocks. You may have caught a glimpse of founder Gene Bowen on Road Recovery's youtube channel. There you'll find videos posted of his meetings with Road Recovery supporters including Slash, Denis Leary, John Varvatos, Amy Ray (Indigo Girls), James Hetfield (Metallica) during his state wide cycling tour of 1500 miles to raise money for its outreach programs. Now Bowen can hop off his bike at another location, The Cutting Room, where you can join him for an evening of great music performed by some of today's most exciting and critically acclaimed pop-rock singer/songwriters. Talk about innovation! Road Recovery has figured out a way to bring two unlikely characters together, the music biz and the medical world, because every kid on that stage is not just having fun and making amazing music (not to mention connecting with rock-stars); they're also working their "program" with expert medical supervision (Road Recovery is not a mental health/medical treatment provider, it's a critical component to each participants treatment team). Not only does Road Recovery work in tandem with treatment professionals, but this work is an integral part of the program. This isn't ONLY jammin' for fun...this is a gig with a mission! Road Recovery- www.roadrecovery.org Road Recovery is a New York-based non-profit 501(c)3 organization Road Recovery founded in 1998 through the support of Sony Entertainment and Dreamworks Records, substance abuse and mental health specialists, and entertainment industry professionals who have confronted similar crises and wish to share their life experiences with at-risk teens through the dynamic process of creating, planning and executing their own live concert events and recording projects. Road Recovery has received generous time and support from a wide-range of people including Ozzy & Sharon Osbourne, Tony Bennett, Iggy Pop, KISS, Eric Clapton, James Hetfield (Metallica), Joe Perry (Aerosmith), Peter Frampton, John Varvatos, Joe Walsh (Eagles), Alice in Chains, Trey Anastasio (Phish), among others. Rufus Wainwright -http://www.rufuswainwright.com According to Billboard, "musically, Wainwright had been exploring various, if less pop-focused, avenues, ranging from his 2007 Grammy Award-nominated Judy Garland tribute to his first opera, 2009's 'Prima Donna', as well as 2010's darker, solo piano effort, 'All Days Are Nights: Songs for Lulu'...Wainwright enjoyed critical and moderate commercial success with 'Want One' in 2003, the following year's 'Want Two' and 2007's 'Release the Stars'. His newest album title, 'Out of the Game', may suggest the singer is anything but missing in action. Indeed, he's ready to step back in with one of his most accessible collections of pop music in years (on Decca)." Diane Birch -http://www.dianebirch.com Diane Birch recently released her first new album in four years 'Speak A Little Louder' which follows the pianist/singer/songwriter's extraordinary 2009 debut, 'Bible Belt,' which opened in the Billboard Top 100 and prompted comparisons to Laura Nyro and Karen Carpenter along with glowing reviews from The New York Times, NPR, Rolling Stone, Vanity Fair, and more. Birch, who had worked primarily as a songwriter prior to signing with S-Curve Records, honed her skills as a performer on the road supporting the album, sharing the stage with everyone from Stevie Wonder to Betty Wright and appearing on The Today Show, Letterman, Leno, Conan, Kimmel, and Ellen along the way. Simon Kirke - Simon Kirke formed a new group called Free with Paul Rodgers and Any Fraser. Over the next five years this remarkable group released several albums and singles, the most famous one being "Allright Now." Even though they were relatively young as a group, Free left a musical legacy which lasts to this day. In 1973, Rodgers and Kirke disbanded Free and formed Bad Company. Five of six albums Bad Company released with Rodgers are multi-platinum or gold including hit singles "Can't Get Enough" "Moving On", "Feel Like Making Love" and "Rock and Roll Fantasy". With combined success of Free and Bad Company, you can turn on any rock station in the world and you are likely to hear Kirke drumming. Simon Kirke is a dedicated member of Road Recovery's Board of Directors and continuously mentors young people in the non-profit's Trax programs in NYC. Ronald Guttman(emcee) - Ronald Guttman is a Belgian actor, theatrical producer and film producer. Guttman's performances include a production of The Fifth Column, a play by Ernest Hemingway, and movies such as The Tollbooth, 27 Dresses, The Guru, August Rush and The Hunt for Red October. Mr. Guttman is a long-time, active supporter of Road Recovery and its Trax programs helping youth battling addiction and/or other adversities. Authentic Talent & Literary Management works with today's top writers, directors, actors and content creators. Authentic exists to make a positive impact in the world by working with clients to fulfill what truly matters in their lives and careers. 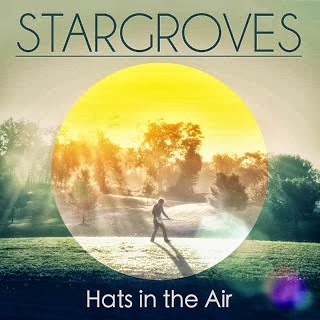 Stargroves is the new project by singer and songwriter Ted Watson. We finished up this album a few months ago and I just found out the band has been signed to Nashville based Digsin Records. Congrats Ted! Their first single "Westfjords" featured Oscar nominated actress Abigail Breslin and was released exclusively on Perez Hilton and has been got the band some great attention last year. There's been a lot of press since then, and I'm sure there will be a lot more. You can download their next single "Hats In The Air" on iTunes. I just finished an EP with Matt Chadwick. He's a super nice guy from Australia. He got his start in the music business as a finalist on the first year of Australian Idol. His EP just came out and is doing really well! Check it out on iTunes. Congrats Matty! Here is an excellent video for Julia Piker's "Come Away." I produced and mixed this at Threshold Studios last year. A really nice video that's gotten 2,000 views in just a week or two.